Schools are a gold mine in terms of garment decoration opportunities. They provide perfect word-of-mouth advertising opportunities too. You can decorate & sell custom apparel for sports, spirit wear, ‘class of’ shirts, field trips, and even to parents. The tips below will give you head start for decorating apparel for schools. 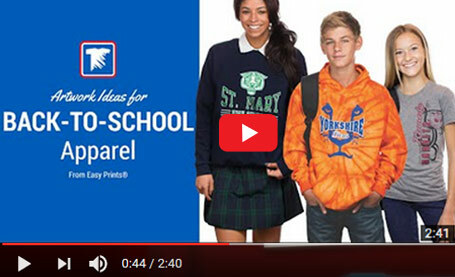 Watch our video to see an overview of the school apparel you can print. 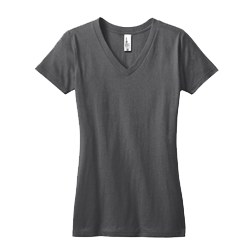 We offer a large line of apparel where you can order a variety of sizes. Put the same design on t-shirt, hoodies, cinch sacks, towels, caps and more. 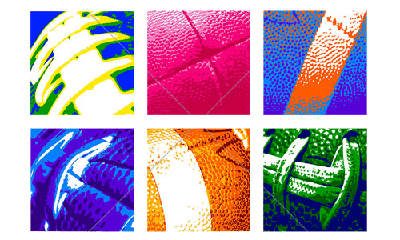 We have over 7,000 clip art and over 100 mascot layouts to customize. Use our free online designer, Easy View®, to customize our layouts. If you have your own mascot artwork, add it to our layouts using our Custom Clip Art (CCA) program. Use gang sheets to make logos for uniforms inexpensive, then print on demand as needed. Print gym uniforms and sell the entire uniform - shirt and shorts. Need the same design in different colors? Use a color change for dark/light uniforms. Order large quantity for all year, then store and print on demand! You can sell for football, soccer, baseball, cheerleading, tennis, wrestling, etc. Decorate sport uniforms with names and numbers. Uniforms are typically ordered by the Athletic Director. Suggest other items for players such as cinch sacks, practice jerseys, warm up tees and shorts, shooter shirts, and tournament shirts. Create a flyer and give it to coaches for easy ordering. Lots of these groups need apparel. Just find the organizer for each club. Make a flyer so it is is easy for the advisor to organize the order. Sell to the school bookstore. Create a flyer to send home with students. Set up a table at games. The same transfer can be used for t-shirts, sweatshirts, tote bags, mouse pads, and rally towels! Personalize the prints with Mom, Dad, graduation year, or player number. School calendars are online — look for upcoming events to see where they might need custom apparel. Approach them early before they are even thinking about it to win the sale. 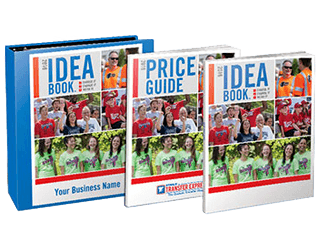 Suggest and help organize events that generate sales like a white out. Don't forget about plays and fundraiser events. Most schools have an annual "field day" and shirts are great for team spirit. Sell to seniors, middle school or kindergarten classes. Field trip shirts get kids excited about their trip and make it easy for chaperones to see the group in a crowded place. Signature shirts make a unique customized look.